Wow lol a flaw in Windows 2000. Well nobody uses it now anyways so I guess it wouldn't really matter. i had my pc cleaned out yesterday. they installed win 2000. i used to have 98. btw-i'm kind of computer illiterate. alot of things are missing now that i'm back on line. when we try to play on line games, it says it requires internet explorer and windows. i though that's what i had. also, there is no game icon,as well as a few others, on my front page anymore. is this how 2000 works or am i doing something wrong here? Well this is the time when people are switching to Windows 7 from Xp and vista. A very rare no. 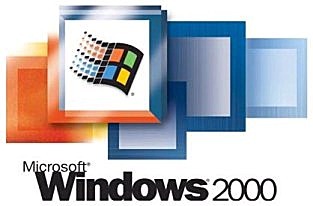 of people are still attached with window 2000, so it would not be much concerning.